The American College of Healthcare Sciences will celebrate Herb Day, Saturday, May 4, at the college campus located at 5005 SW Macadam Ave., between 9:00 a.m. and 12:30 p.m. The public is invited to learn what local experts have to say about CBD and essential oils for both humans and dogs. At this year’s Herb Day Celebration, we delve into the methods and mechanism of how non-psychoactive CBD is used in treatment of many conditions in pets and humans. We’re excited to invite you to our 2019 Herb Day Celebration. Herb Day is an international celebration of herbs and herbal products that are packed with events aimed at educating and sharing ideas about the many ways herbs bring joy and well-being into our daily lives. It’s a celebration of herbs used in food, beverages, medicine, beauty products, and crafts, along with the art of growing and gardening with herbs. About American College of Healthcare Sciences - Founded in 1978, ACHS.edu is a Portland, Ore.-based, accredited college offering online, on-campus, and study abroad integrative health education. With undergraduate and graduate degrees, diplomas, certificates, and continuing education units in integrative health, ACHS makes holistic health and wellness education accessible to a diverse community, including healthcare professionals, military students, stay-at-home parents, and lifelong learners. Specializations include aromatherapy, herbal medicine, holistic nutrition, and wellness. 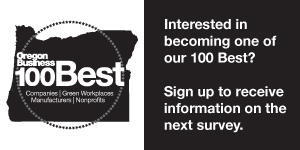 ACHS is a Certified B Corporation® and was named two of 100 Best Green Workplaces in Oregon 2017 by Oregon Business magazine. ACHS is also accredited by the Distance Education Accrediting Commission (DEAC), which is recognized by the U.S. Department of Education and by the Council for Higher Education Accreditation (CHEA). Visit achs.edu.